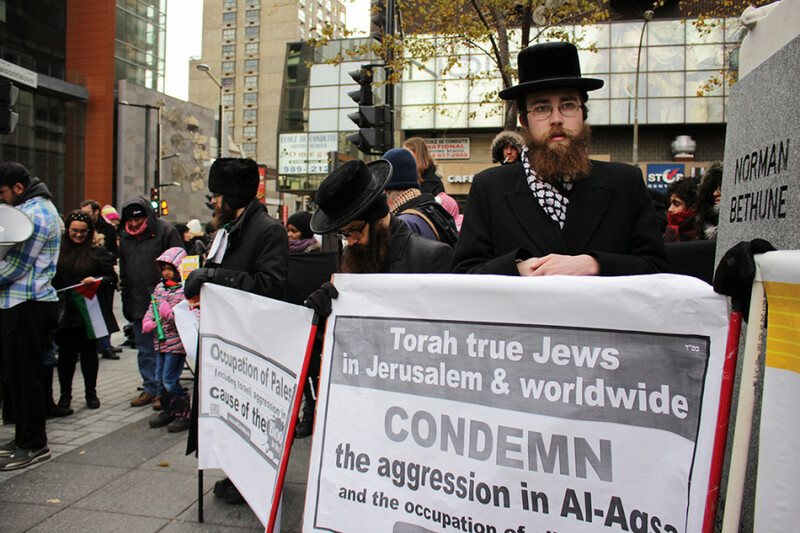 The event, which marked an international day of solidarity with Palestine, was organized by the group Palestinian and Jewish Unity, as well as Solidarité pour les droits humains des Palestiniennes et Palestiniens UQÀM. Francis Mounadhel, one of the event’s organizers, said that the downtown demonstration was important for the Palestinian cause, which he argued has lost steam in the province. Some are debating whether a third intifada is occurring, as Palestinian resistance has escalated in recent months to counter Israeli occupation and militancy. In attendance was Québec Solidaire MNA Amir Khadir, who likened the plight of Palestinians to the current struggle of Syrian refugees, calling for acceptance and tolerance. “Despite all the propaganda organized by certain media, and certain political elites to heighten feelings of fear and rejection in Quebec’s population toward these other Arab refugees, the sympathy of the Quebecois people toward the [Syrians] will grow,” Khadir said in a speech. However, Khadir pointed out that the needs of Palestinians are quite different from those of fleeing Syrians. 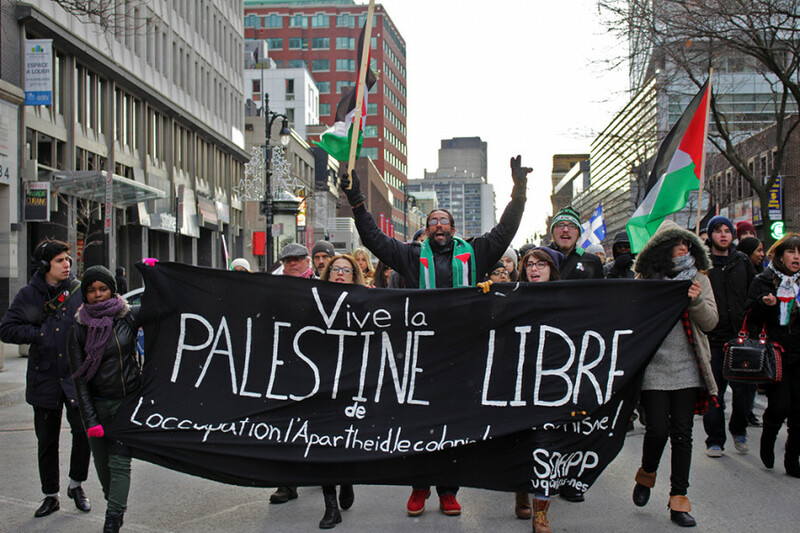 After the speeches, the protesters took to the street and walked toward Ste-Catherine St. Although no official itinerary was provided to police, SPVM officers coordinated with organizers to make sure that the protesters could walk safely in the street. About four police vehicles followed the march, and no riot police officers were deployed on the ground. The march reached Phillips Square without incident, after which the crowd dispersed peacefully. No arrests or offences were reported.